Running in the dark, shoeless in the bitter cold, racked with fatigue and hunger, constantly afraid of being discovered, arrested yet again, or thrown back into the horrendous abyss constructed for the annihilation of his people – this was William Stern’s life for eight long years as he struggled to survive, enduring the horrors of concentration camps, incessant deprivation, and unimaginable existential terror. Yet Bill Stern prevailed, eventually joining a partisan group, surviving to see the end of the war, and immigrating to the United States. William Kurt Stern spent his childhood in Austria, but his family fled to Yugoslavia when he was 13 years old, fearing the rise of Nazism in the region. 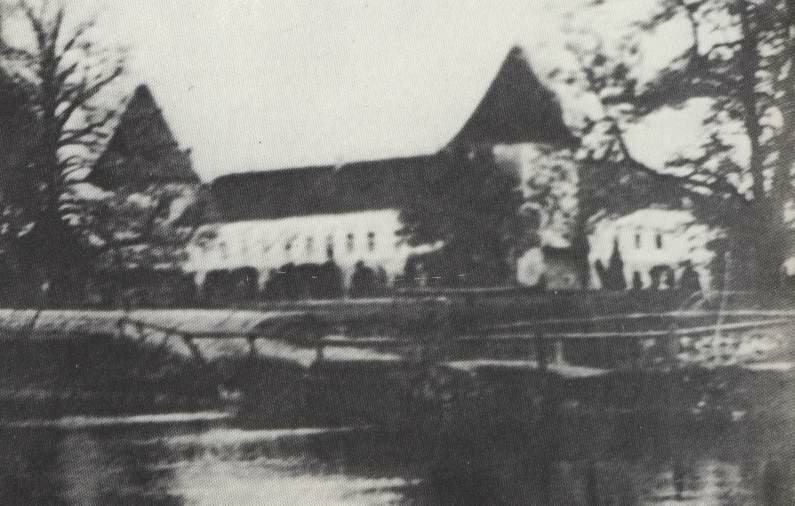 However, Germany occupied Yugoslavia in 1941, and along with his parents, William was interned at the Kerestinec concentration camp. While at Kerestinec, he slept on the floor with “hundreds of rats scurrying... over us, under our blankets and over our faces”. During the summer of 1941, William’s family was inexplicably taken from Kerestinec and herded onto a train traveling southward to Sarajevo and then into Montenegro. The journey was terrifying as they switched from train to truck, following narrow roads that were “so narrow and twisting that the driver had to back up to be able to make the turn…this caused the whole back of the truck to hang over the side of the road over an abyss”. William and his family again suffered through successive bouts of starvation and bleak conditions, as they were placed in old, abandoned buildings, heavily guarded by Italian forces. He explained, “Food was scarce even for the local population. Our primary food were figs, which we would pick off trees, when no one was looking”. This went on for another year until June 1942, when William’s family heard about the chance to go to Split, a Yugoslavian town controlled by the Italians. At this time the Italians were withdrawing from occupied territory and would go to annexed areas such as Split. Since William and his family were under the Italian army’s control and the Italians controlled Split, they were able to obtain a “propusnica” (a travel permission document) to allow the family’s entrance. But they were betrayed by the Italian Carabinieri, who refused them entry and confiscated their precious travel document. But soon after they were denied entry into Split, they found a way to slip past the border police. When they finally arrived, they found shelter, and felt safe and happy for the first time in years. However, their problems were far from over. Just hours later, the police appeared in the middle of the night and arrested William and his family on the spot. They were immediately thrown into a tiny jail cell with common criminals for twelve days where they had to “sleep on the floor, on one side just to fit. When one person turned everybody had to turn”. Throughout this tortuous experience, they suffered from dysentery and desperate hunger. He explained, “We were told that we were allowed to go to the toilet only twice a day, creating major problems for us”. Finally in July 1942, the Italian army moved William and his parents out of the jail and shipped them off on a ferry to Dubrovnik, a southern city in Croatia. Before the Nazis seized the city in the autumn of 1943, it was occupied by the Italians. Though Jews were likely to be persecuted by the local ustashi – a Croatian fascist organization appointed by the Nazis to rule over occupied Yugoslavia and responsible for over a half a million murders of Jews, Roma, and Serbs – the Italians did not allow mass deportations, and many refugees fled to Dubrovnik during that period. However, dire starvation was also rampant. William describes scrounging for rotten fruit and cabbage leaves at the market place when the Italian army was not paying close attention. “It was so bad, that I only weighed forty two kilos (under a hundred pounds). I was sixteen years old and about 6ft. 2 inches tall. I was so thin that I could see my heart beat and looked like a skeleton”. Were it not for the nuns, who gave out a thin soup made of corn meal once a day, they would not have survived. In the autumn of that year, the Germans successfully persuaded the Italians to round up Dubrovnik’s Jews, and in October 1942, William and his family were moved to Kupari, a concentration camp along the Adriatic coast operated by the Italian Carabinieri. Here they suffered through constant hunger and debilitating illness, all the while being expected to perform relentless hard labor. William’s mother became so sick the doctor declared that she would not survive. Thankfully, she recovered but did not regain her strength for a long time after. Ultimately, Italy capitulated to the Allies in October 1943. 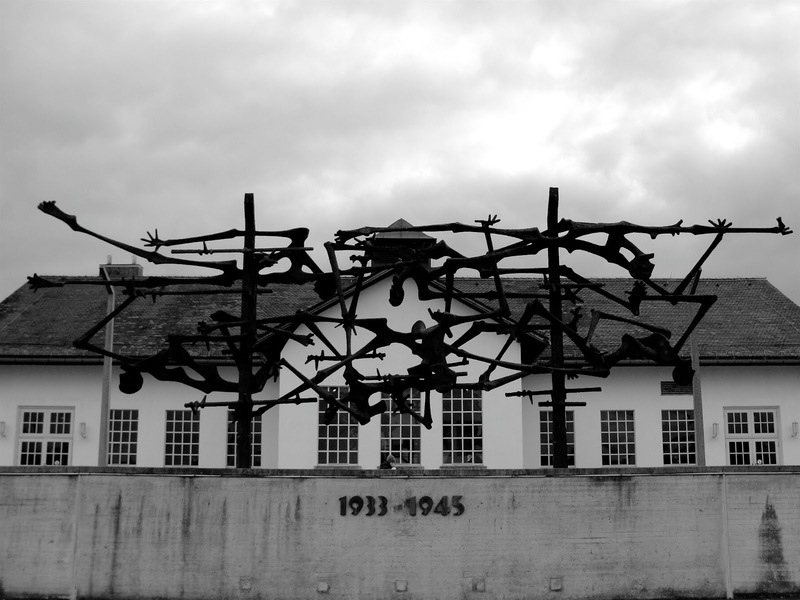 After a year in the concentration camp, one day William and his family “woke up to find that all the watch towers and other military posts [of the concentration camp] were deserted… all the troops had left”. By now, William was 16 years old. 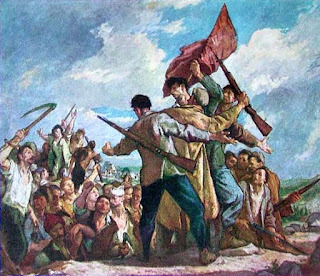 Soon after, partisans from the mainland arrived to help relocate them from the concentration camp to liberated territory. It was important to be quick since “the Germans or even worse, the dreaded Ustashi were imminent”. The partisans fighting in Yugoslavia during this time were a unified body, led by commander Josip Broz Tito – no small feat for a region ravaged by nationalist bloodshed. After hiding out and dodging German air raids for half a year, William decided to join Tito’s partisan brigade. He remained an active member for a whole year, leaving his parents behind. To stay agile and light, his partisan group always consisted of 12 to 18 men and women who “were very nice people”. William said, “We went into areas that were dangerous, full of Nazis, and would kill as many as we could. When they went to fight back, we would go behind a tree and hide, and then fight back when the time was right”. Eventually, in February 1945, William received a note from partisan command ordering him to go to Topusco. When he arrived there, he was lucky to rediscover his parents at the Rab concentration camp. 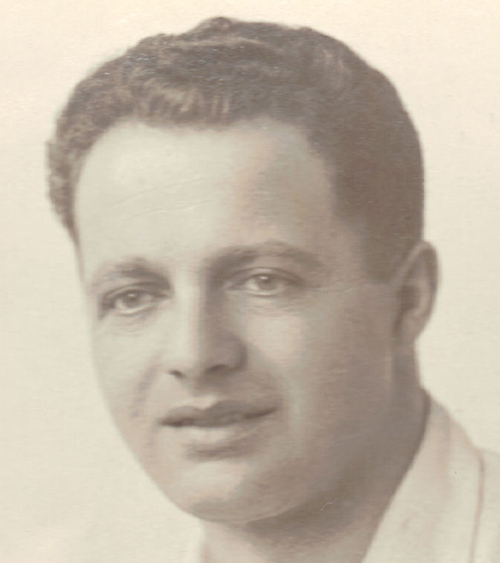 Two months later William, his parents, and all other Jews from the concentration camp were transported by a British warship to Bari, Italy, where they were “deloused and disinfected”, free and safe after many long years. Since William spoke four different languages – English, Italian, Croatian, and German – he was hired as an interpreter for the British occupation. “They treated me very well. I could even wear one of their uniforms. They needed me for all the languages I could speak”. William and his family wanted to go to the United States but were not allowed to immigrate for another three years. In March of 1948, they were finally given immigration visas and set off for New York on a Russian ship called “Rossia”. In New York, they were greeted by William’s uncle who instantly took them in and helped them to settle and find work. “The Jewish community was very guiding and supportive in helping me with starting my new life,” William recalls. By the time he arrived in New York, he was 22 years old. His first priority was to catch up on the 10 years of education he had missed. He scored well on a high school equivalency test, and attended a university in New York. During his studies, he worked the night shifts as a hotel elevator operator, then a bus boy. With the help of the Tisch family, he eventually climbed his way up the ranks of the hotel industry, where he continued to work for another 42 years. Despite his traumatic youth, William has successfully re-established himself in the U.S. Contributing factors to William’s success include his ability to learn languages and close family relationships that gave him purpose and support. He is the father of two children: Eric, who lives in the Bay Area; and Amy, who lives in Baltimore. William resides with his wife Joyce, just south of San Francisco. Much of Nandor Glid’s story pre-World War II is a mystery to the public - perhaps in part because, like many, he lost all he knew in the Holocaust. Glid was born in Subotica, Yugoslavia (now Northern Serbia). While his family was sent to Auschwitz, he was deported to Szeged, Hungary, where he was forced to work at a labor camp. He managed to escape and join Tito's Yugoslav Partisans, who played a major role in driving German forces out of Yugoslavia. Glid was wounded in March 1945 during a battle in Bolman, Yugoslavia. 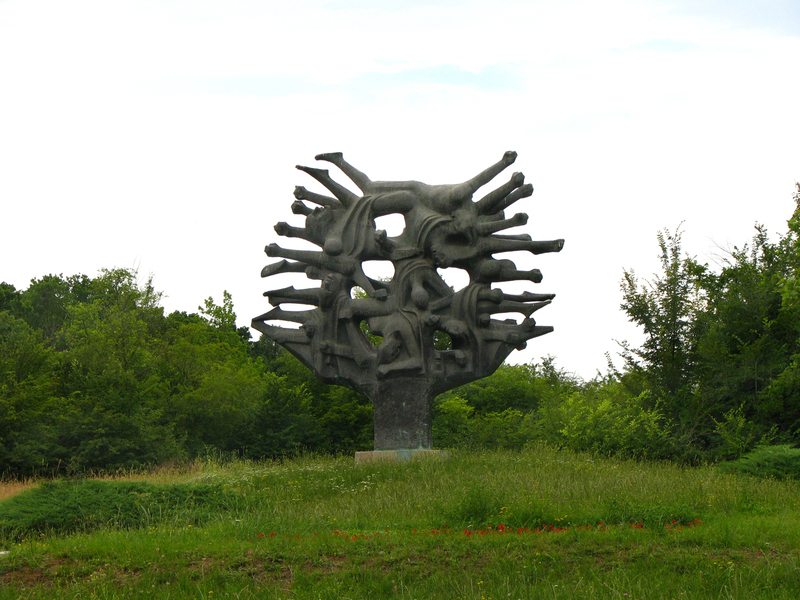 A talented sculptor, sketcher, and graphic artist, Glid continued to produce highly recognizable and expressive sculptures that speak loudly of his experiences, many of which are monuments scattered throughout the former Yugoslavia. Many of his works have been exhibited internationally. His final work was commissioned by the Central Board of Jewish Communities in Greece and dedicated to Jewish Holocaust Victims by the President of Greece in 1997. Glid was able to complete designs for the project, but passed away before he could begin the execution of the monument. Based on these plans, his son, Daniel, completed the bronze sculpture and it is now located near the pre-World War II Jewish quarter of Salonika, Greece - an area that lost 96% of its Jewish population during the war. Moshe Baran is a Polish-Jewish partisan who escaped from a labor camp near Krasne and joined a Russian partisan group. 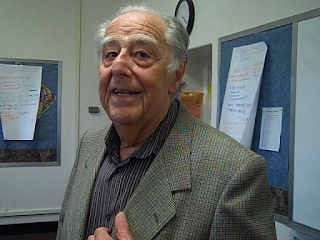 Now in his 90s, Moshe Baran lives in Pittsburgh, and devotes his time to speaking out about his experiences and the destructive power of hatred, which can have devastating consequences for society if left unchecked. It is Monday, April 28, 2013 in Washington, DC, and we are approaching May 8, the 68th anniversary of the end of the war. The Holocaust Museum is celebrating the 20th anniversary of its opening. I am attending a salute to the veterans of WWII and Holocaust survivors, a gathering of more than 4000 people, among them 900 survivors and 150 veterans. We are assembled to witness the presentation of the flags of the American divisions who entered concentration camps in Germany and Austria. The Army orchestra plays as each unit enters with its flag and a voice announces the camps they liberated. Those who are present rise and applaud, my face and those around me flooding with tears of sorrow and pain mixed with tears of joy and pride in those who finally destroyed the beast of the 20th century. President Clinton, Elie Wiesel, teachers and students who are engaged in preserving the memory of the Holocaust are sharing their experiences. As I stand there, my memory takes me back to January of 1945 when the Second Russian Army, of which I was part, moved west to seal the fate of Hitler’s thousand year Reich. We drove over recent battlefields where the remnants of vehicles were mixed with the remains of bodies. It takes me back to the summer of 1944 when the Russian army, after several years of fighting German hordes, advanced to the west and liberated Belarus and entered Poland. I was part of the resistance that was sabotaging the communications of the occupying forces. I remember the day in 1942 when I stole weapons from a German warehouse, escaped from the forced labor camp where I had been imprisoned for six months, found a group of local Jews who had sought shelter in the surrounding forests and swamps and joined the resistance. I recall the horrible time in the fall of 1941 when the Germans ordered us out of our ancestral homes and herded 300 families into 15 homes, separated by barbed wire from the rest of the town and guarded around the clock, deprived of access to food, water and basic necessities. There we waited knowing that we are doomed, trembling at the sound of mechanized vehicles that might signal the arrival of our fate. From behind the barbed wire we watched as our former neighbors went about their lives assembling in the church across the street to pray after they had been preying on us, performing weddings accompanied by the sound of music. My mind goes back to the good old days prior to 1939 when under Polish rule, in the midst of a Belarusian minority, we enjoyed a naively tranquil life in the shtetl, a village of 300 families, a rabbi, a Hebrew day school, a bank, a free loan association, and volunteers who cared for widows, orphans, and those just passing through. That all came to an end when the Red Storm from the east and the Nazi hell that eventually engulfed all of Europe from the west converged in our place. 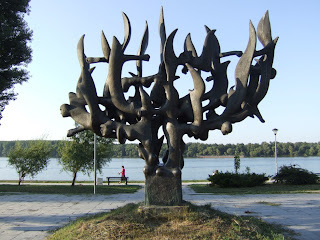 I move back towards the present, recalling a visit to an extermination camp in Poland in 2004 accompanied by my son-in-law Paul and grandsons Yossi and Boaz. After stepping out of the barracks where we saw compartments with childrens’ shoes, clothing, and luggage marked from various countries, Paul went outside, sat on the steps and burst into tears. He cried and cried, lacking words, and expressing in the only way he could the despair that he felt. 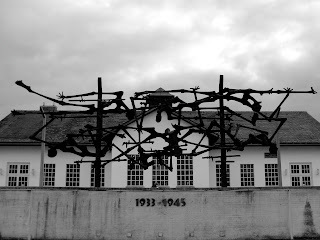 What is the responsibility of those of us who survived, and those who witnessed the liberation of the concentration camps? It is to share our memories with as wide an audience as possible. We are the last of those who can tell the story in the first person, who can bear personal witness to the destruction of an entire culture. It is painful for us to reach the point in life where the world is so unsettled, where killings and bombings are a daily occurrence. We hoped that WWII would be the end of all wars, but today we live in a world where the institutions of peace are paralyzed and where war is an everyday event, an unremarkable item in the news over which we shake our heads. In the great economic turmoil of the last few years, there is one bright spot. Israel, the bright and beautiful child of the tragedy of WWII, the dream of a people who were nearly destroyed, has emerged unscathed, one of only five countries that continued to grow and prosper during the worst economic downturn since the Great Depression. We pray and hope that the example set by Israel will serve as a beacon to humankind. Click here to view the original post on Moshe's blog.